Built by CarbonFive for PBS, ITVS and the Corporation for Public Broadcasting, OVEE offers a unique and fun online video engagement experience. Pulling in the PBS video library, OVEE users can select media content then “Host a Screening” with friends. They also have the option to turn on their webcam so that the rest of the attendees can see and hear them. The New York Times recently gave PBS love for their creative thinking in the article “PBS Takes On the Premium Channels”. To stand out from the crowd they’ve been pushing the boundaries of their traditional programming as well as their online viewing experiences. Now through OVEE, my sister and I can catch up on last season’s popular “Downton Abbey” PBS series whenever we’d like. The best part of the OVEE hosting panel is the total control over the viewing content. That means that anytime Rob James-Collier comes on screen during an episode of “Downton Abbey”, I can pause the content so my sister and I can have a serious discussion about how dashing he is. 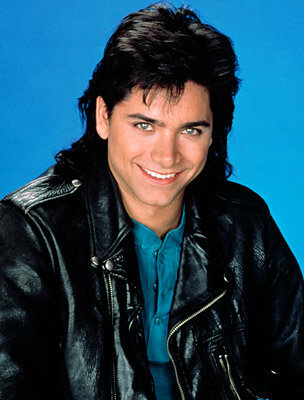 Uncle Jesse-esq in his own way. Attendees can also express their “love” for a scene or moment in the content, by selecting the “like” emoticon. It will notify the entire audience about how you’re feeling at that very moment. There is also always the option to make a comment through text chat as well. As OVEE says, it’s time for a new way of seeing things. So schedule your “Downton Abbey” season 2 premiere party now with some friends; it airs Sunday! If dashing British men aren’t your style, then perhaps some programming about War & Espionage will do the trick. OVEE has it all.